Do you know where you’d like to be one year from now? Would you like to lose weight? 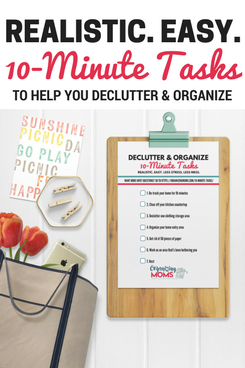 Be more organized? Start a business? Earn more income? Have you ever considered setting a 12-week goal? When we think of setting goals, we tend to think of what we’d like to do in the next year. We aim to lose those 30 pounds by this time a year from now, and then hope it will all work out somehow. 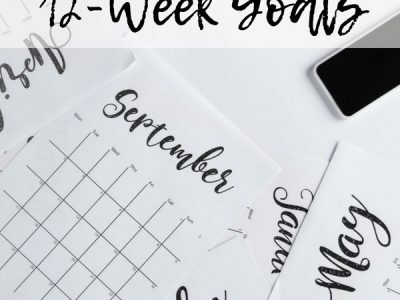 In the 12-Week Year by Brian Moran and Michael Lennington, the authors explain that it’s actually much more effective to set goals in 12-week increments. 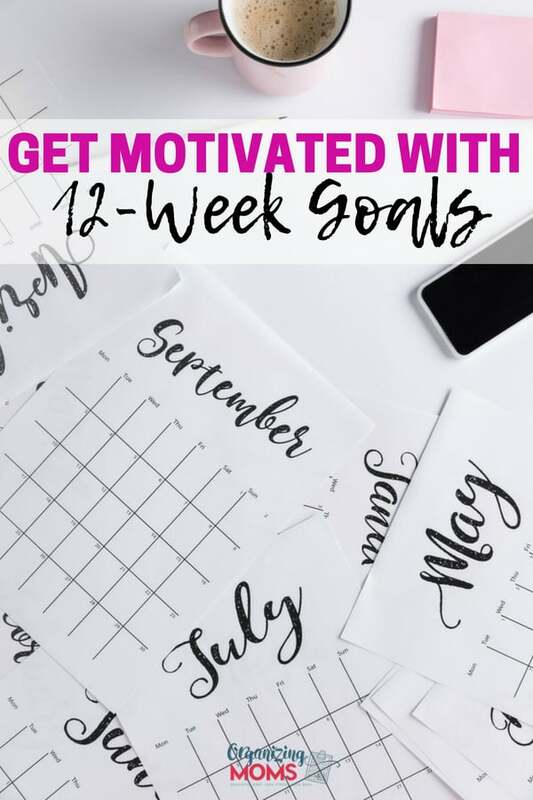 Because it’s much easier for us to plan out exactly what we need to do to reach our goals in 12 weeks. We can envision what we’d need to do to reach our goals, make a weekly plan, and execute it. Twelve weeks is an amount of time we can imagine. Also, it’s WAY harder to put things off when we plan out the nitty-gritty details of what we’d need to reach a 12-week goal. If we’re aiming for a year ahead, it feels like we have all of the time in the world to reach our goals, so we procrastinate. The book suggests setting 12-week goals, and then charting out every step you’ll need to take to reach them. After reading the book, I was totally on board with setting 12-week goals. I charted out the steps I’d need to take, and even scheduled time to specifically work on the goals. Having everything planned out was pretty nice. Then, I got to work. Having a plan was nice and frustrating at the same time. I liked knowing exactly what I needed to do to reach my goals, but I also spent a lot of time thinking about changing my tactics. As I worked more and more on my goals, I started to see ways that I might be able to reach them sooner or more efficiently. I spent a lot of time wondering if I should change my weekly goals, or stay the course. 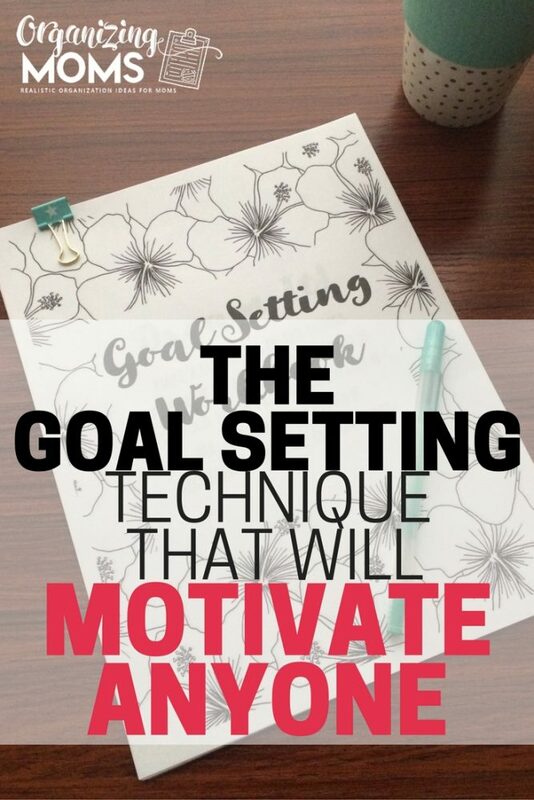 After a few weeks of progress coupled with frustration, I decided to make my own goal setting workbook. I wrote all of my weekly goals in pencil and decided that it would be okay to course correct if needed. I’m about half-way through my first set of 12-week goals, and I’m getting more used to the process. I like always knowing what my next step should be, while giving myself permission to work towards the goals with more flexibility. Want to remember this? 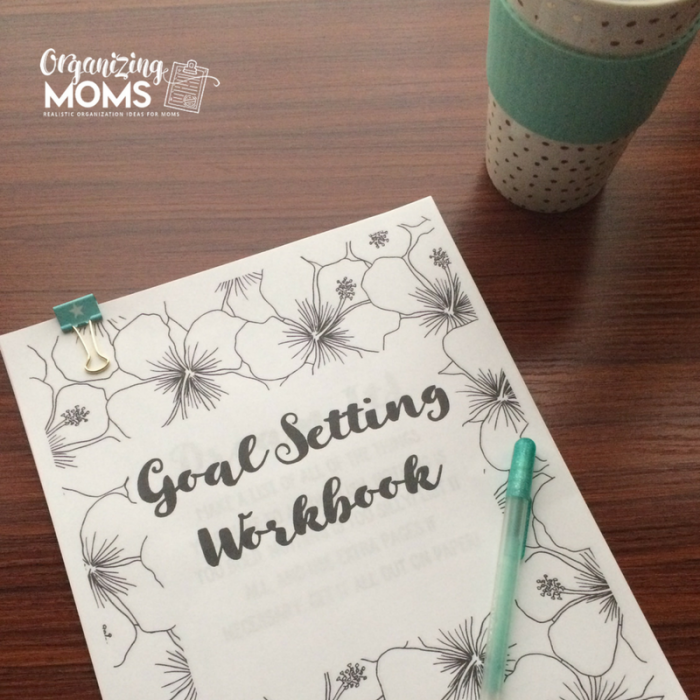 Save Goal Setting – 12 Weeks At A Time to your favorite Pinterest board!